A group of young people from Mati, Attiki who were devastated by the deadly wildfires which took place in their hometown in July, have sent a very touching message of sympathy for California fire victims who are currently facing the same tragedy. On July 23rd Mati endured tragic and deadly wildfires which sadly left 99 people dead. 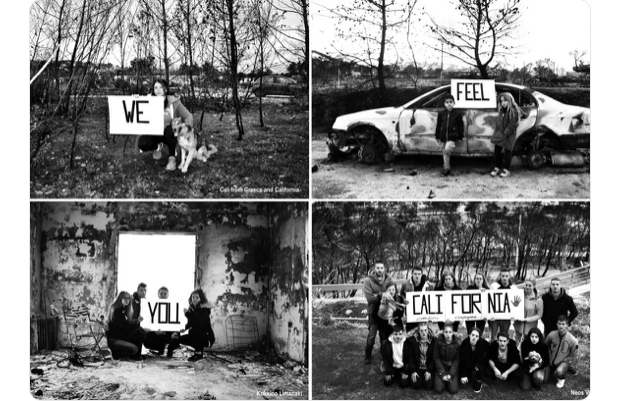 Holding four separate signs which collectively read “We Feel You California”, a group of youngsters from Mati, are pictured standing in front of areas which were burnt down over summer. At least 76 people have died in the California fires, which has destroyed thousands of acres in the US state, and there are fears that the death toll will dramatically rise in the coming days as more than 1,300 people are still unaccounted for. 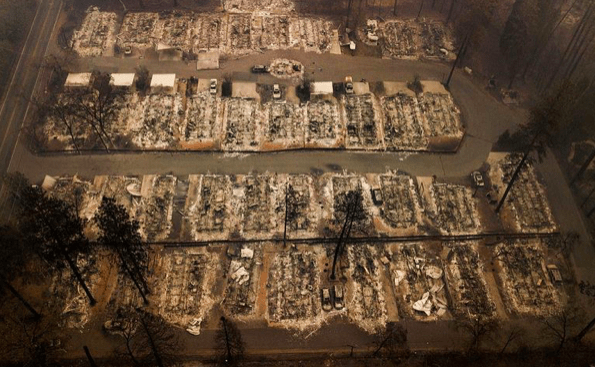 The blaze started on November 8 largely destroying the town of Paradise, which has a population of 27,000 and heavily damaged nearby communities of Magalia and Concow. “But be courageous California, because in all that you will feel, disappointment, sadness, bitterness, and anger, you will find it in you, a strength that you did not know existed, and this will keep you upright. You will see that you are not alone. You will be many and you will be next to each other. You will make it. You will get up, California, and you will regain Paradise! I feel you California!